A beautifully framed magnetic board turns everyday notes and messages into an ever evolving work of art. It's a great way to add function to your home without sacrificing style. 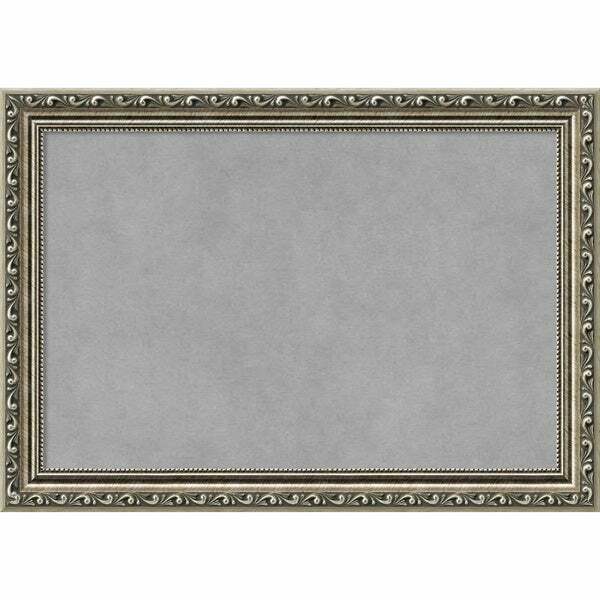 This high quality, 100-percent real wood decorative magnetic board features a traditional, ornate 1 1/ 4-inch wide warm silver frame with dark pewter patina and delicate antiquing. It has a raised leaf pattern on the outer edge with fine beading on the inner. This magnetic board is handmade in a small custom art and frame shop in the American heartland - you can be proud to display it in your home. This magnetic board is being custom built for you. Please allow 10 business days for the product to leave our warehouse.